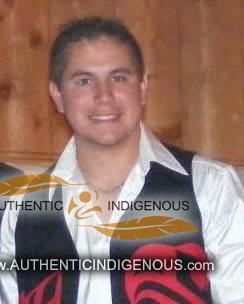 Brent Campbell was born May 12, 1984 in Alert Bay of Kwakwaka’wakw (Kwa–kwa-queue-walk) Descent. The Kwakwaka’wakw people are located on North Vancouver Island and adjacent Mainland from Comox up to Ocean Falls, B.C. When Brent was 15 days old he was given his first Kwakwaka’wakw name. Brent was raised in Alert Bay where his first eight years of education was weighted heavily in the Kwakwaka’wakw language and culture. This was a concerted effort carried out by the Kwakwaka’wakw people in order to restore our culture, language, heritage. Brent was taught all of the legends, names, and meanings of all of the Kwakwaka’wakw world. As Brent is the only child he also carries all of the family songs and dances which are still practiced in our Bighouse customs. When Brent was 12 years old he began to apprentice in art under the direction of his family. Under their guidance and direction – Brent learned the intricacies of Kwakwaka’wakw art and applied this skill to carving sterling silver jewelry. Brent has held art shows in Alert Bay, Ottawa, Montreal, Calgary, Moncton, Edmonton, Whistler, Campbell River, Port Hardy, Kamloops, Kelowna, Vancouver, Victoria, Saskatoon, Nanaimo, Qualicum, Duncan, Courtenay, Port Alberni, Tofino, Richmond, and Langley. In 2011 – The Nation Chief of the Assembly of First Nations commissioned Brent to carve gifts for Prince William and Princess Kate. These gifts were presented to the Prince and Princess during their visit to Canada. •Showcased his work for the month of February at the 2010 Olympics at the Aboriginal Village, Vancouver Community College, Vancouver BC. Brent Hand Carves each piece of jewelry. Beginning with a sheet of sterling silver, Brent chooses the shape of the piece and cuts it out. In order to keep the piece still while carving, Brent uses jeweler’s putty and places the silver onto a carving block. 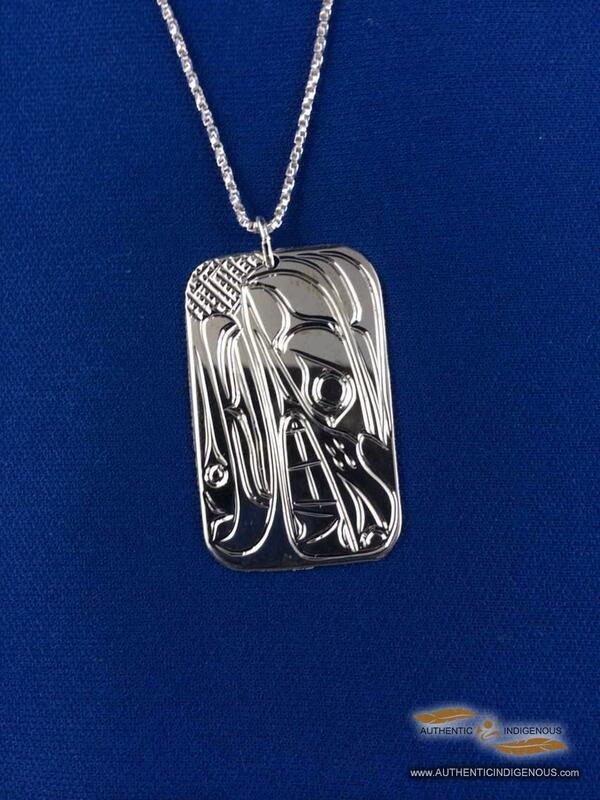 He then hand carves the design onto the silver. Once the carving is completed he then does a rough polish smoothing out the edges of the piece. The jewelry is then shaped in a curve, or dome as required. This is followed by another round of fine polishing and cleaning. Once the piece if polished to a shine, Brent then does the ‘rigging’ which includes putting the earring hooks on or fastening a jump ring in order to put the necklace chain on. Brent has been commissioned by Department of Indian and Northern Affairs Canada to hold workshops for other Aboriginal Artists on booth set-up and marketing skills (courtesy, respect for customers, and knowledge of the designs)!! Brent’s Jewelry Booth set ups have won awards for the professional way in which the jewelry is displayed and the professional and courteous way Brent addresses his customers.